KELLY: Mrs. Carmody, my middle school librarian, inspired me — I volunteered to help in the library during homeroom, a half-an-hour period opposite lunch. She allowed me to work on projects not normally assigned to student helpers such as filing catalog cards. It may not seem exciting now, but I was pleased to be recognized as someone who had an interest in libraries and who could accomplish those detail-oriented tasks. She would not allow me to shelve, however, because I got lost in the stacks reading. I spoke with her a number of times after middle school about library school and the opportunities I might have in libraries. KELLY: The impact of the library on our communities and in the everyday lives of the people in our communities — those reasons are by far my favorites about working in libraries. As an example, in Decatur’s 175th celebration, the committee (which included a library staff member) discussed ways to honor our art heritage. The library hosted an exhibit of a local sculptor and later commissioned a work in honor of a longtime library volunteer and former elementary school teacher. The sculpture, “It Must Be a Good Book,” generated much interest in our town on sculpture, but the library was involved in providing historical background and significance of modern sculpture in town – Decatur as the birthplace of David Smith, regarded as the father of American modern sculpture. 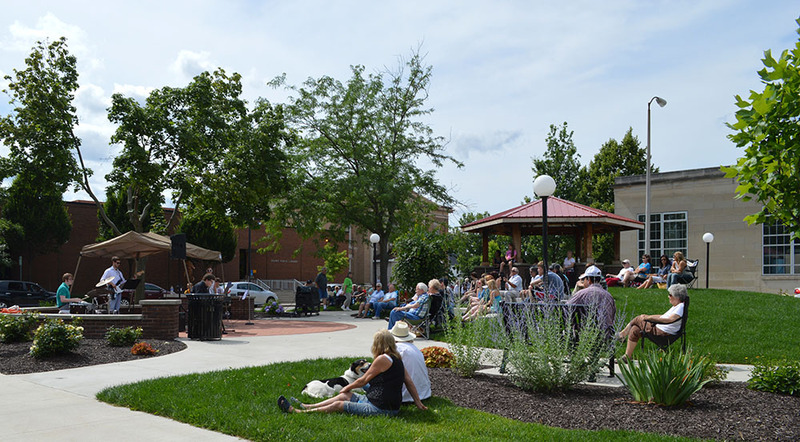 The library’s exhibit and work on the heritage of our community was the catalyst for the Decatur Sculpture Tour, widely now recognized as economic development through art and a significant factor in the redevelopment and revitalization of Decatur’s downtown. KELLY: I really cannot choose one favorite book. My favorite books to read aloud are Dr. Seuss books and Junie B. Jones books. My kids are now beyond those books, but I enjoyed them very much. The Harry Potter series and The Little Prince were more favorites, and I am a big fan of cozy mysteries. At the moment, I’m reading a lot of church doctrine, philosophies, and information about art and architecture of and in churches. 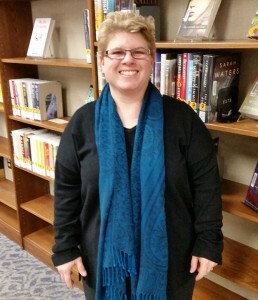 This entry was posted in Meet the Staff, Professional Development Office (PDO) and tagged Adams County Public Library, Indiana, Indiana State Library, Kelly Ehinger, Library, Library Director by indianastatelibrary. Bookmark the permalink.